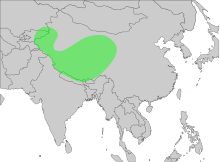 Sharma, RA (2006) Status of Himalayan Griffon Gyps himalayensis Hume, 1869 and ethno-vulture relationship in Upper Mustang, Nepal. Unpublished thesis. School of Environmental Management and Sustainable Development, Kathmandu, Nepal.